My little boys have an airplane themed room. Even after having it for a few years, I’m still in love with that room. But, they needed a lamp. I’ve had my eye on a few from Pottery Barn, but I’d have to sell my boys to be able to afford it, and that would defeat the whole point of needing a lamp in the first place! 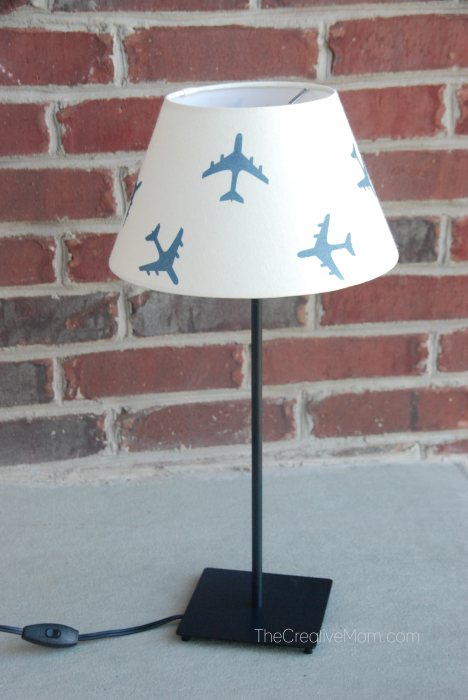 So, when I stenciled my lamp the other day, a lightbulb went off, and I knew I needed to DIY an airplane lamp! By the way, I showed this lamp on Studio 5, and shared the whole tutorial there, so make sure to check it out. 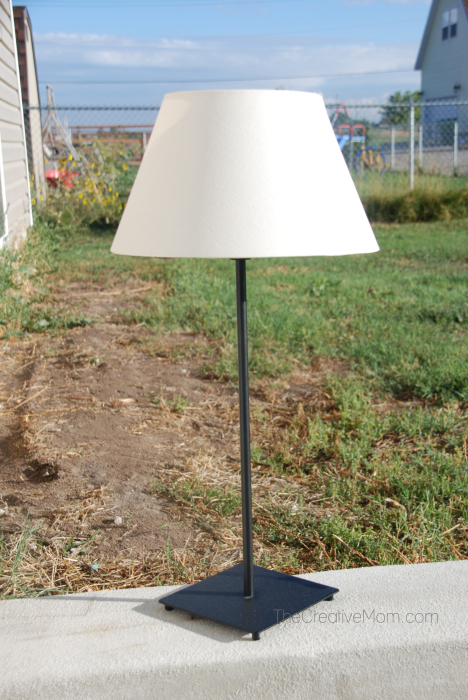 This lamp and shade came from Ikea. The whole thing was less than $20! 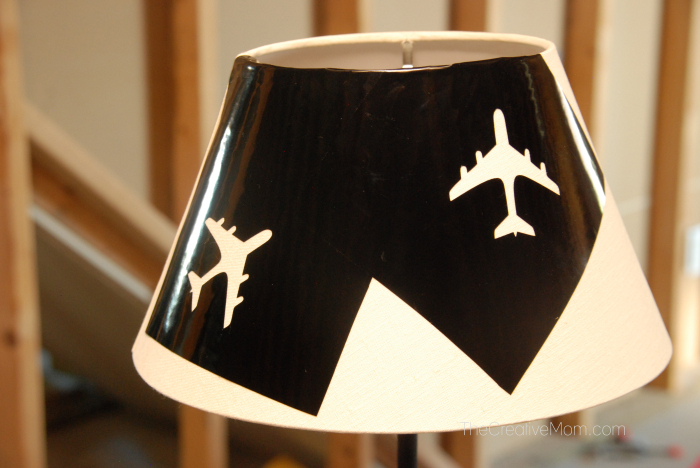 I cut some airplanes out of vinyl and made sure to leave plenty of space around the planes so I could use them as a stencil. If you’ve never used vinyl as a stencil, watch this video, and you’ll be a pro. 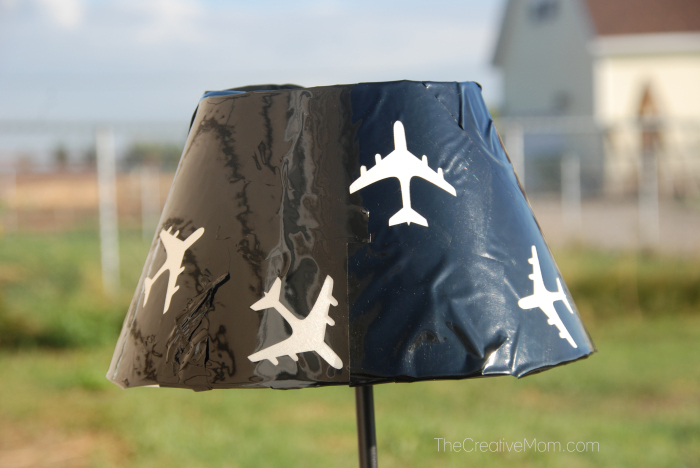 You’ll want to cover your whole lamp, except the airplanes. And make sure to rub the back of your fingernail across the edges of the vinyl airplanes to keep the edges tight and crisp. 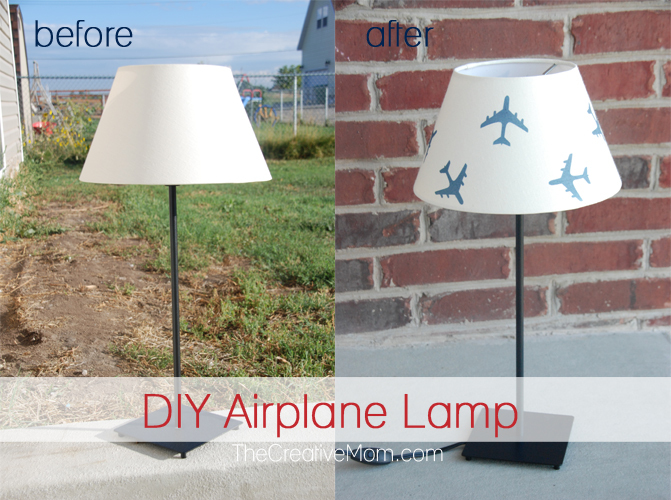 Then give your lamp a quick and thin coat of paint. You could spray paint or just brush it overtop. And you’ve got yourself a completely personalized lamp that won’t cost an arm and a leg. Cutting vinyl without an electronic cutter.